Today we’re here to talk about Fire Emblem: Awakening, so I have gathered staff from Intelligent Systems1 and Nintendo. One key point today is the number of people here, so thank you all for coming.1. 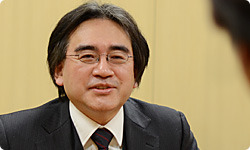 Intelligent Systems Co., Ltd.: A game developer that has developed Nintendo software, including the Fire Emblem and Paper Mario series, along with development support tools for successive hardware. Headquartered in Kyoto, Japan. Often referred to by its nickname: IS, pronounced liked the word ‘is’. Let’s start with Narihiro-san and some self-introductions, including what you worked on for this game. All right. I’m Tohru Narihiro from Intelligent Systems. As with previous games in the Fire Emblem series, I was the development producer. Did your role change much from before? Yes. I wanted to try something new, so I entrusted Higuchi-san with the actual work. At first, he wouldn’t even let me touch the software! (laughs) Because of that, I was somewhat removed from the project, which was very refreshing. Thank you for inviting me again. 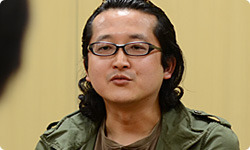 I’m Masahiro Higuchi from Intelligent Systems. I was the project manager, so I was in the same position as on the last game, Fire Emblem: Shin Monsho no Nazo2.2. Fire Emblem: Shin Monsho no Nazo: Hikari to Kage no Eiyu: A simulation RPG released for the Nintendo DS system only in Japan in July 2010. It was the thirteenth game in the series and a remake of Fire Emblem: Monsho no Nazo, the third Fire Emblem game. You say you were in the same position, but this time you were called upon to make decisions without relying on Narihiro-san. Thank you. 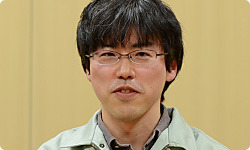 I’m Kouhei Maeda from Intelligent Systems. As with the previous game, I was the director. This game isn’t a remake or a sequel, it’s a completely new game, so I put in more effort than ever before. Does whether you start with a foundation or create something completely new make a difference to the birth pangs associated with being a director? Yes. I learned a lot. 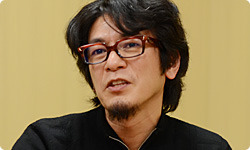 And Kusakihara-san. This is our first time meeting! It’s nice to meet you. 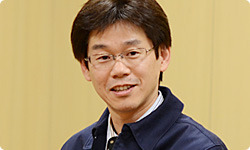 I’m Toshiyuki Kusakihara from Intelligent Systems. I was involved with this game as the art director. I determined the overall direction of the art and also did quite a lot of the actual art, so I worked pretty hard from start to finish. You turned it around pretty quickly? Overall, I suppose many of the proposals were excessive. 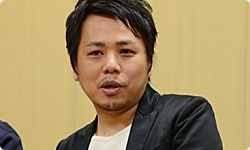 Higuchi-san has been involved with the Fire Emblem series since Fire Emblem: Seisen no Keifu3, but this time more than ever, I think he was left speechless. (laughs)3. Fire Emblem: Seisen no Keifu: A simulation RPG released for the Super NES system in Japan in May 1996. It was the fourth game in the series. The staff has worked on the series for so long that when it comes to the essence of Fire Emblem, they have certain ways of doing things, even though we’ve never specifically agreed on what the essence of Fire Emblem is. This time, we wanted to make a Fire Emblem game that was more different than ever before, especially with regards to the visuals, so we made a point of bringing in Kusakihara-san, who had never been involved with Fire Emblem before. So Kusakihara-san brought new blood to the series. But with the history behind it and all the fans, didn’t you feel pressure when suggesting something new? Quite a lot of pressure. But it’s always been my practice that once I determine a direction and start swinging the bat as it were, a lot would be lost by changing course along the way, so I swing clean through. I see. And Kozaki-san, it’s good to meet you, too. I’ve heard that we called on you a lot for character design. This was my first time designing a game with so many characters, so it was a challenge. Oh, so that’s how it began. How did you come to ask Kozaki-san for his participation? I wanted this game to be something new and powerful. So when I thought about the conditions for the creation of the visual aspect, I was looking for someone with the skill to make a distinction between all the characters – from pretty girls to muscly older guys and monsters – as well as someone with speed. That’s quite a lot of conditions. Yes. Then I hit upon Kozaki-san. Actually, this isn’t his first contact with the series. He worked on illustrations for the Fire Emblem trading card game4, so it was a curious turn of events.4. Fire Emblem trading card game: A trading card game based on the Fire Emblem series. Six series were released in Japan. There were difficulties aside from the number of characters and their variety, weren’t there? Yes, and that was the biggest thing. The Fire Emblem series has grown thanks to and alongside the passion of its fans, but simply designing a new game as we have done in the past wouldn’t appeal to new fans. For that reason, we aimed for design that would bring in new players. To be honest, in the past, I’ve tried Fire Emblem a few times but always stopped partway through. I didn’t think it was boring, but it was difficult to come into the series in the middle. I was exactly the kind of person this new game was aiming for, which actually inspired me to accept this job. When it came to the mission of expanding the game’s appeal, you understood the motivation to which you needed to respond. Yes, that clicked with me. 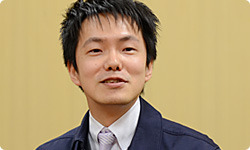 I’m Hitoshi Yamagami, also from the Software Planning & Production Department. I was the producer. 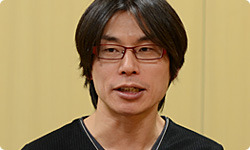 I’ve had the same role throughout the series but, like Narihiro-san, my involvement was less intensive than ever before. Because Yokota-san was out front. Yes. At first, this project was bogged down for about one year. I was involved up until deciding on the current direction but once it got running, I handed it to Yokota-san. In my experience, the more of a struggle it is to get something started, the smoother it goes once you start making it. That struggle at the start is important. So let’s start with those birth pangs. Yamagami-san, who did you meet with first? Mainly Higuchi-san. Ever since we made Fire Emblem: Shin Monsho no Nazo, I’d been proposing that we make a new game. The game would be Fire Emblem, but you could enjoy a different world, like – to take an extreme example – the modern world. All sorts of ideas came up, but they were all going a little too far, so it was hard. Yes. We were fumbling around at one thing or another so that people who have played Fire Emblem before now would be comfortable picking it up, while new players would at least take a little interest. One of those things we were thinking about was a change in the way it looked. What kind of proposals were you making? (laughs) A game called Fire Emblem 2011. Maeda-san, do you remember what the other suggestions were like? One idea that came up within the team was… well, it was Mars.